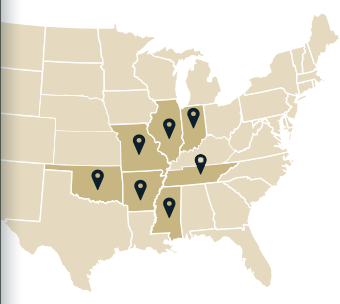 Senior Community in West Plains, MO | MACO Management Co., Inc.
Courtyard Estates is a new construction senior community marketed exclusively to seniors 55 years of age and older. It is comprised of 5 one bedroom apartments and 29 two bedroom apartments. The attractive, maintenance free apartments are very spacious and include energy efficient appliances as well as washing machines and dryers. 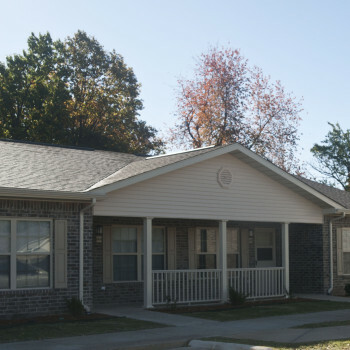 The seven single story garden style apartment buildings are complimented with luscious landscaping and include a gazebo, picnic area and park benches.